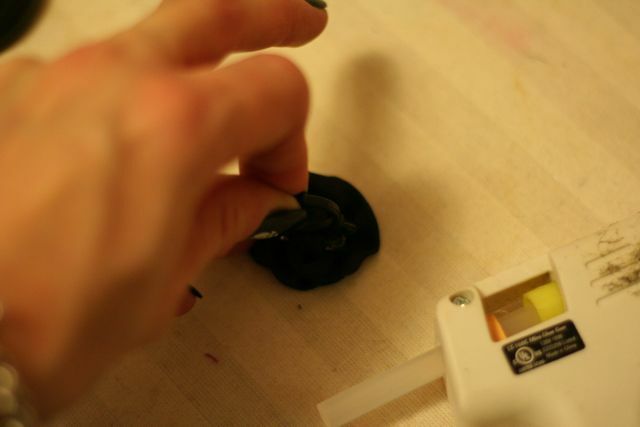 This is super easy and super fast and pretty cheap if you can find some plastic rings on clearance. 1. 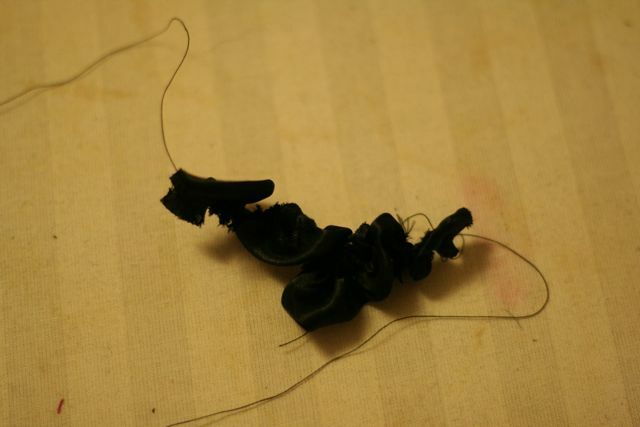 Fold the fabric in half and sew along the raw edge with the widest stitch. Gather by pulling only one of the strings. 2. 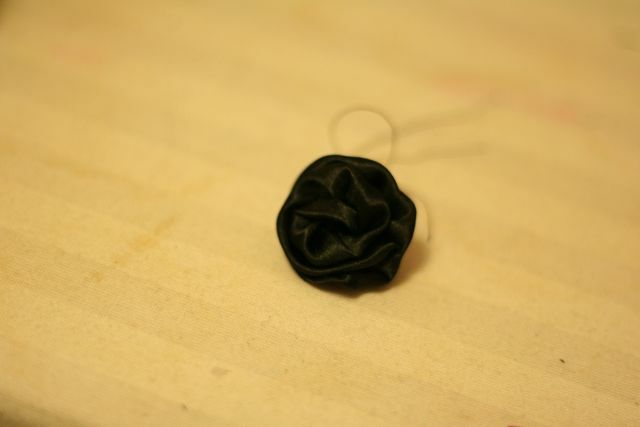 Starting at one end, roll up to make a rose and sew together. 3. 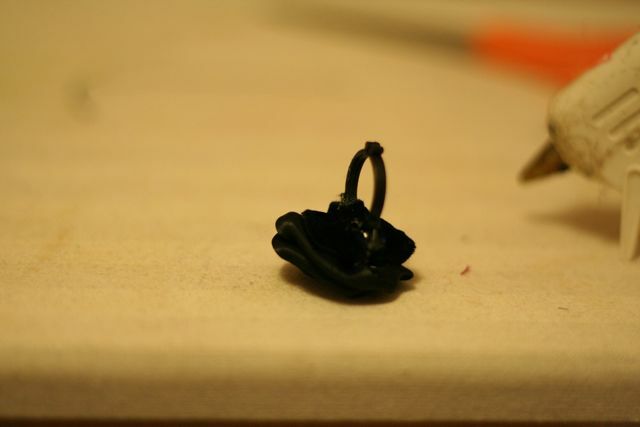 Using your glue gun put glue on the back of the rose and press the plastic ring into the glue. 4. 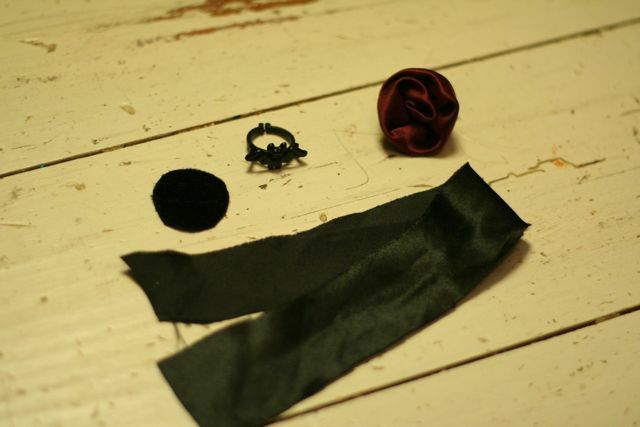 Cut two slits in the round velvet piece to fit around the ring and glue into place, making sure to cover any raw edges of the flower. 5. 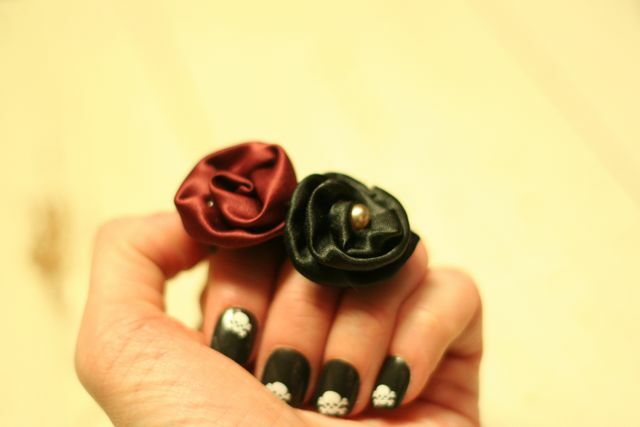 You can add a pearl or some other little decoration or leave plain. This entry was posted in Christmas, DIY, Holiday, I made this!, tutorial on November 30, 2010 by Deanna. I love the skulls on you nails! Great idea! My mom is begging for one of these in her stocking this year for Christmas!